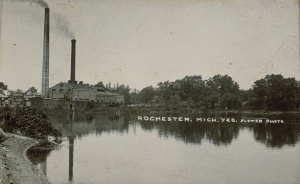 Much of Rochester's history has been lost to time. Water, once the workhouse of Rochester: powering numerous mills along the riverfront, is now an aesthetic pleasure. This tour will guide you to the locations that played a key role in shaping Rochester but have since vanished. Some of Rochester's most glorious attractions, such as a five story sugar mill, have almost been forgotten. The new design is finally here. Along with being more aesthetically pleasing, the new design should also load faster and be more intuitive. Let me know what you think! Tours can now be saved as a draft instead of instantly publishing them. Two tours of the Washington DC Memorials have been created!! Permanent destination pages: Currently the mobile pages for individual destinations do not have a static address. Giving them a static address will allow businesses to link to their stop or post a qr code to their stop. Social Media: A Facebook/Google Plus page will be created. Printer Friendly Page-The printer friendly page has been completely redone. Users are no longer able to configure the maps, but it should make printing more reliable in all browsers. Suggestions Page-The suggestions page was redesigned to fit the background. Mobile Site-Mobile users are now automatically redirected from http://10StopTours.com to http://m.10StopTours.com. Welcome to the 10StopTours Blog!